359rwhp/279rwtq - Miata Turbo Forum - Boost cars, acquire cats. 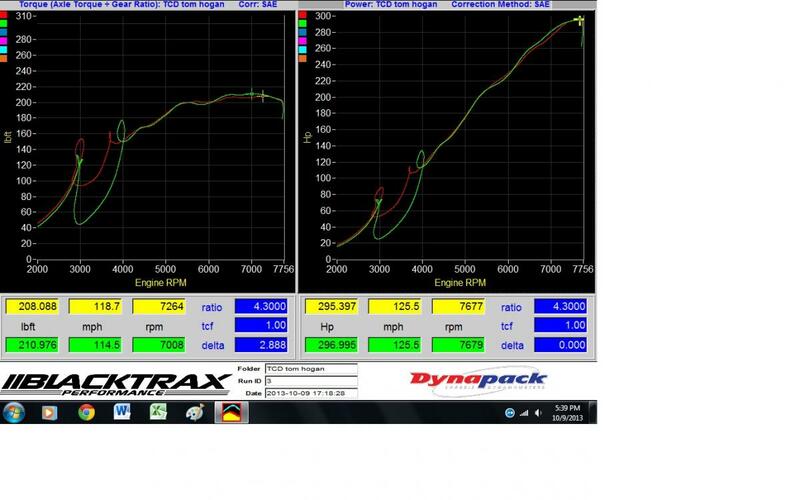 do you have the dyno files? Nope, it was 11pm in Portland when we finished up and I had to drive back to Seattle that night. Getting the dyno files was last on my priority list. Well, can you have the shop email them to you? thats what I've always done! And I thought everyone loves AEM. Do you run a flex fuel sensor? one of the few sc setups worth talking about. you're not fanny any flames btw, since this is one of like 5* setups ever that makes this sorta power. Do you blend between 2 maps or just linear fuel/spark adjustment? The Hydra just linearly interpolates between the two maps depending on what the flex fuel sensor is going through the fuel system. So I have the pump map at E11 or so, and then the high map at E73. Damn, you were 5 minutes from me. Still haven't been to that dyno, how was it? Nice guys? Good prices? Reasonably smart tuners? 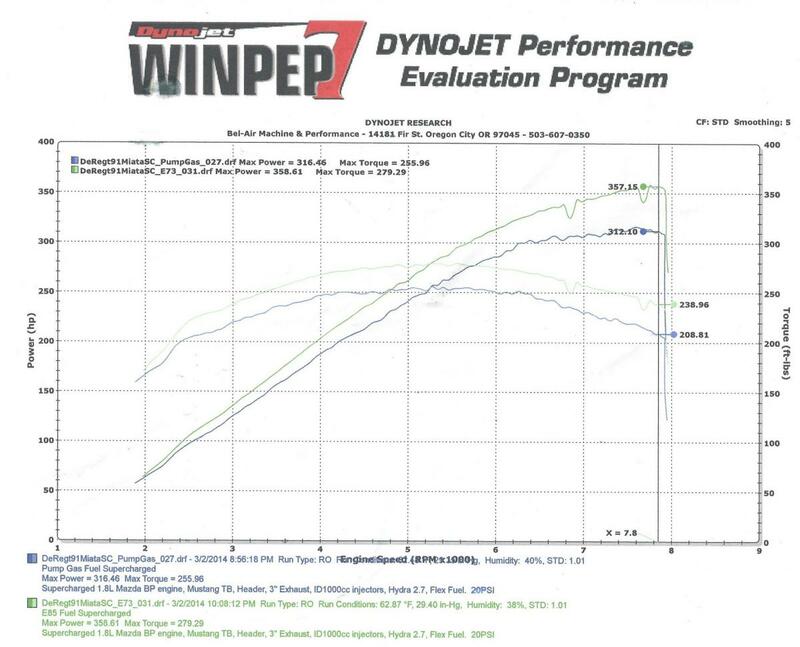 So the dyno is owned by a nice old guy, but Kris Osheim (KORacing) was the tuner who was working on my car. He has an arrangement with the dyno operator where he can rent it out and tune on it. Kris knows a lot, especially if you're on a Hydra -- he's been a Hydra dealer for MR2s for over 10 years. ^^I could be wrong, but I thought I read his issues had more to do with getting a trigger wheel to work with the AEM, than the AEM itself per se. Well, I not only hated how the AEM just refused to work with the trigger wheel, and I just had no recourse, but I really didn't like their software either. You need to quit making me spend money on my car. My kids aren't going to be able to go to college. I saw the title and was expecting a rotrex setup. Nope, just a nice flat torque curve, not the utterly and completely useless garbage that is a centrifugal. For a track only car, and if you can make sure the car lives at the very top end (as in, you have a non-factory transmission with close ratios), go for it, though on a track I'd still take a turbo over it. For anything else, your torque below 5k isn't super awesome. Motor never sees sub 5k on the track. Most times it's above 5.5k. Clearly the Rotrex can have a "nice flat torque curve" and is not "completely useless garbage that is a centrifugal"